Wasp Solitaire is a variation of Scorpion Solitaire that also lends its roots to Spider Solitaire. 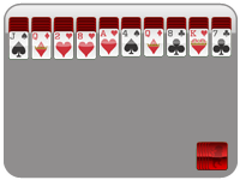 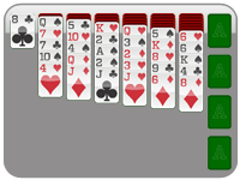 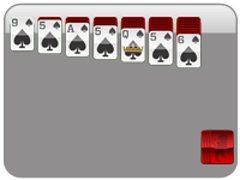 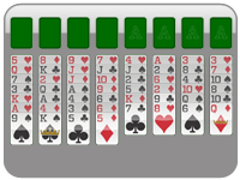 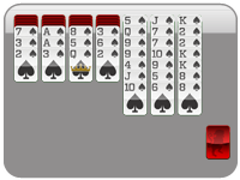 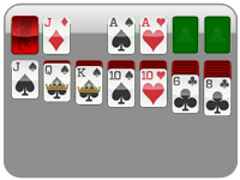 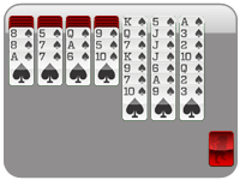 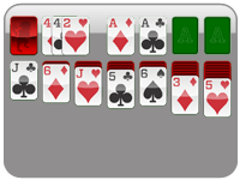 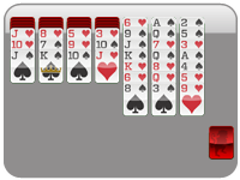 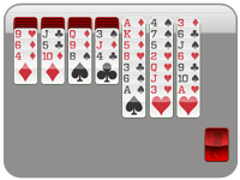 Just like in either game beat wasp solitaire by eliminating all cards from the table. 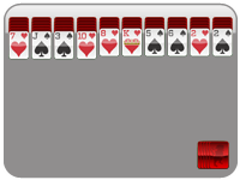 To do this, build stacks of cards in descending order of the same suit, and watch them leave the tableau. Wasp Solitaire is a whole lot of fun because cards never go "inactive", that is, you may move them around in the tableau regardless of how they are stacked (even if not in order). Additionally, you may place any card into an empty space that opens up in the tableau, making this a much easier card game than Scorpion Solitaire.